Tanning is available at The Powerhouse Gym for an additional fee. 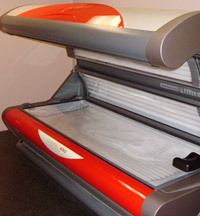 Additionally, the ultimate in tanning products are available at the gym. Tanning appointments are recommended.